You can now navigate through your website with a Content Tree. It will allow you to easily browse your content in the Back Office. Each Content item has a unique icon that helps you identify it without opening. For more information on custom configuration, see Content Tree in the developer documentation. 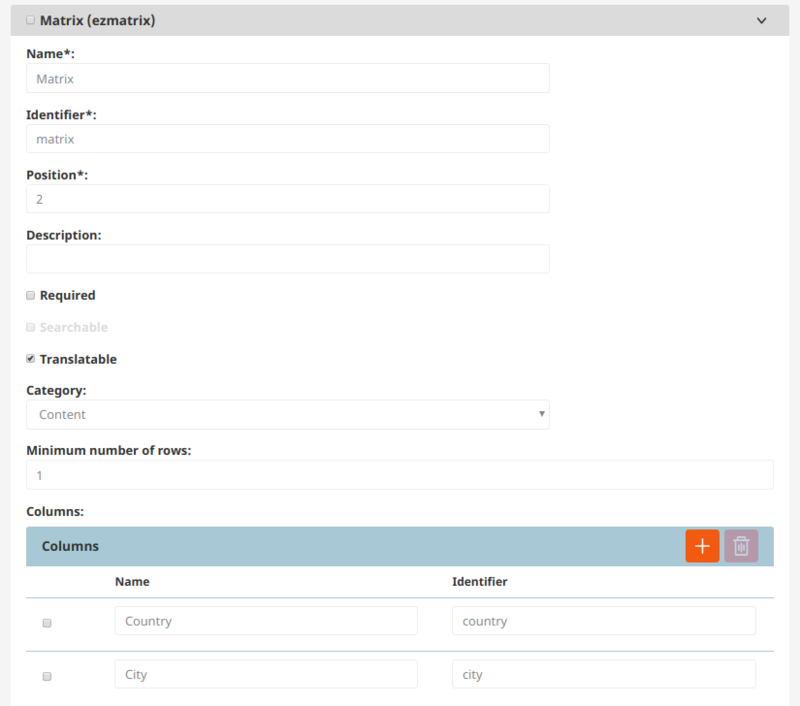 For full description of the interface, see Content Tree in the user documentation. This release introduces Webpack Encore as the preferred tool for asset management. This leads to changes in requirements. Assetic is still in use, but it will be deprecated in a future version. This release enables you to use PostgreSQL for database instead of the default MySQL. Database schema is now created based on YAML configuration. See Using PostgreSQL for more information. You can now take advantage of GraphQL to query and operate on content. It uses a domain schema based on your content model. See GraphQL documentation for more information about GraphQL in general. The new Matrix Field Type enables you to store a table of data. Columns in the matrix are defined in the Field definition. 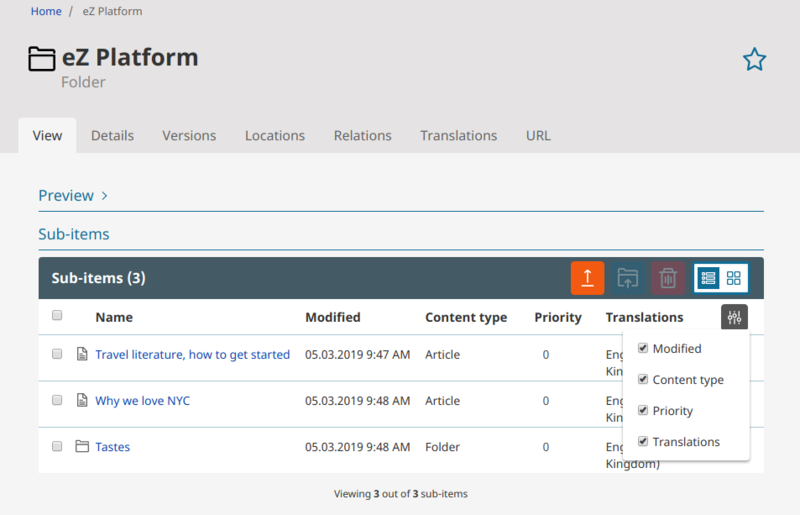 The new ezplatform-user bundle now centralizes all features related to user management, such as user accounts, registering, changing passwords, etc. 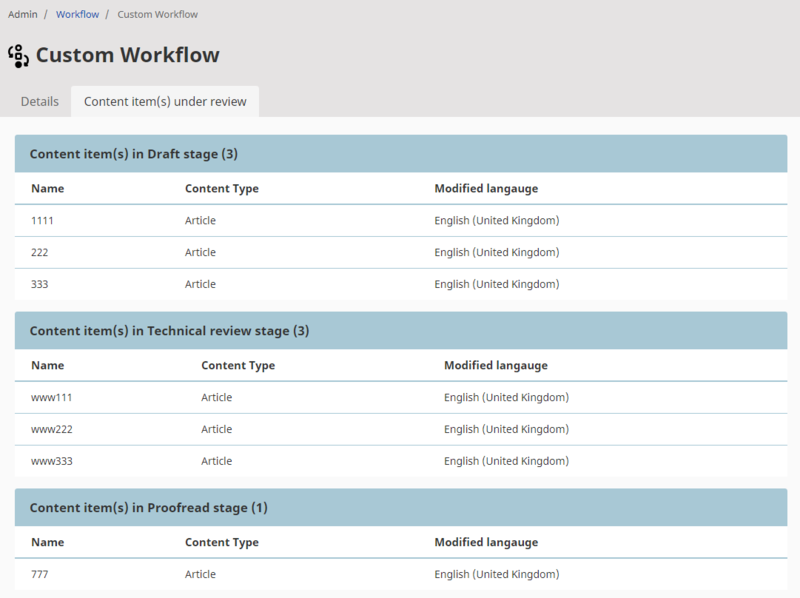 You can now preview a diagram of the configured workflows in the Admin Panel. 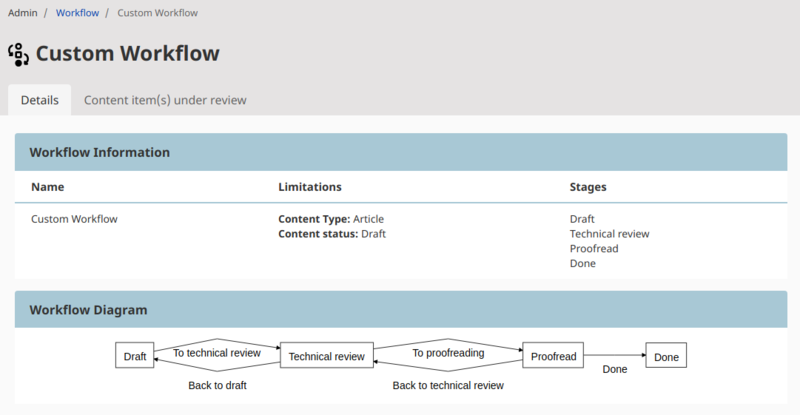 After selecting configured workflow administrator, the user is now able to see all Content items under review for it. You can now link fragments of text by adding Anchors in Rich Text Fields. You can now create inline custom tags in Rich Text Fields. You can now easily use custom CK Editor plugins in AlloyEditor. You can now hide and reveal Content items from the Back Office. Hidden content will be unavailable on the front page regardless of permissions or Location visibility. The Dashboard now shows the version of eZ Platform you are running. You can now define a 'Content/Create' policy for a User or a User group. 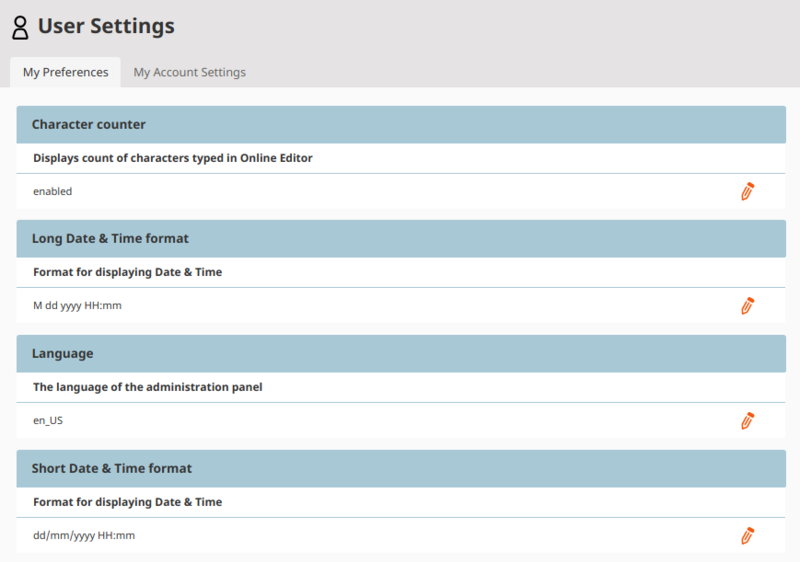 It will enable or disable (if not set) the Create button in your dashboard. allowed_content_types can now limit selection in UDW search and browse sections to specified Content Types. Due to using Webpack Encore, you now need Node.js and yarn to install or update eZ Platform. Solr 4 is no longer supported. Use Solr 6 instead (Solr 6.6LTS recommended). Apache 2.2 is no longer supported. Use Apache 2.4 instead. Varnish 4 is no longer supported. Use Varnish 5.1 or higher (6.0LTS recommended). For full list of supported versions, see Requirements. This version introduces stricter default password quality requirements. Passwords must be at least 10 characters long, and must include upper and lower case letters, and digits. Existing passwords are not changed. See backwards compatibility changes for detailed information.